I randomly was browsing the aisles at Pharmaprix (dangerous thing to do) and I ended up finding not one, not two, but FOUR Annabelle Cosmetics products for a total of 15$. 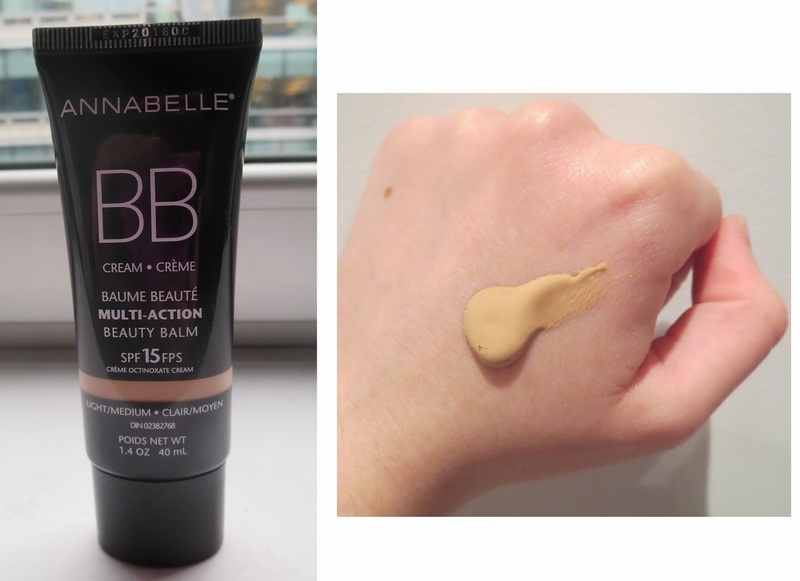 The BB cream came with a bonus free BB skin perfect concealer which was on sale for 13$. The Expandable mascara came with a bonus kohl eyeliner in 108 Lapis, which was on clearance for 1.99$. Safe to say, I was stoked and just couldn't pass it up. I was particularly excited for the BB cream since I already love the Marcelle BB cream (they are sister brands) and also because this one contains an SPF, which is rare for a drugstore BB. It is only SPF15 but hey! For the amount of time I spend in the sun...It's good enough for me! Longevity : 3/5 I did get a bit shiny pretty quickly (maybe 2-3h) so maybe not the best for oily skin...I was out in the sun and scorching heat though! I found this to go on very smoothly on the skin and is moisturizing. It does brighten and gives a certain glow to the face. Maybe I could try using it under foundation...That being said, I still prefer the Marcelle one! As far as the other products go, I was absolutely BLOWN AWAY by the BB Skin Perfect Concealer and the Expandable Mascara! 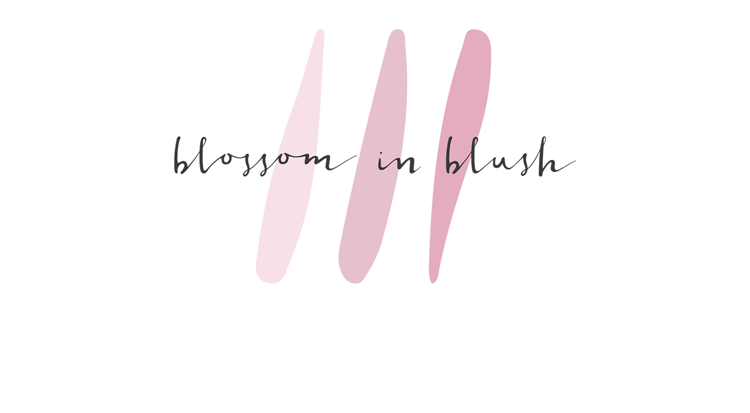 The BB Skin Perfect Concealer (details here) is a creamy concealer that offers great coverage in the convenience of a "twist up" tube. It blends like a dream!! I think I'm about to start a serious love affair with this product, can't wait to try it with other bases. You guys should definitely check out the Annabelle section next time you're at the drugstore (lord knows I've often overlooked it before) ! Can't wait to see the look you come up with for the eyeliner! 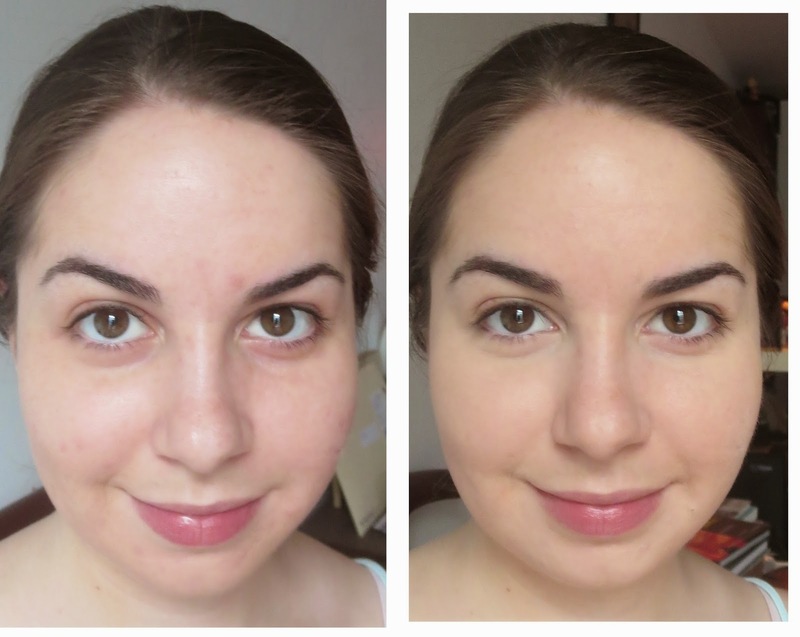 I love the lightness and coverage of BB Creams but they make me break out like CRAZY. Primers make me break out, too. What's up with that? There's definitely some BB creams and primers that make me break out as well. Perhaps you haven't found the right one? I also feel though if I wear primer for a few days in row, my skin doesn't love it... I save primers for when I need my makeup to hold up for a while!